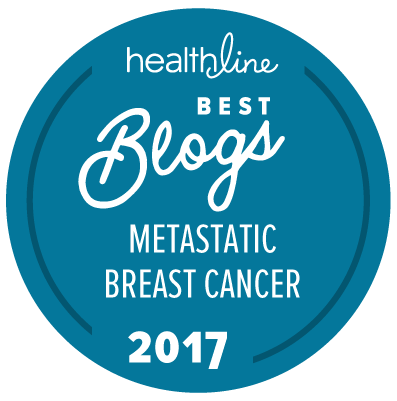 I kind of can't believe I've had a blog about living with breast cancer for more than FOUR YEARS now, and I haven't done a post about what to eat when you're going through chemo. I don't think. If I already have, go ahead and chalk it up to chemobrain. I've done posts about that, right? Hint about what to eat: it's whatever you can stomach. Right now, even the word stomach sort of makes me want to vomit. I had treatment yesterday, and even though I'm on antibody-drug conjugate -- a targeted chemotherapy delivery method that isn't nearly as bad as the broad spectrum drugs I used to receive (I'm talking to you, carboplatin and taxotere) -- there are still some side effects. I've talked about the fatigue. I've probably talked about the nausea in passing. But I don't know if I've talked about any solutions. Here's what works for me (sometimes). Zofran and/or Compazine: This is not the time to avoid medicines that can offer serious relief, with the important caveat (and possibly too much information) that anti-nausea meds can cause headaches and constipation, so you may want to do some cost-benefit analyses. Ginger: Trader Joe's carries a great Ginger Beer (non-alcoholic, don't worry) that works wonders for staving off the waves of nausea. They also have some ginger chews that help when nothing else seems to. Water: It's about the last thing I want in the days after my treatment (think how terrible a tall glass of water sounds when you're hungover), but water, especially with electrolytes, helps flush your system and is one of the truest ways I've found to feel better faster. When I was on broad-spectrum chemotherapy, I resorted to -- gasp! -- Gatorade or popsicles when my mouth sores were out of control. I know, sugar is evil, but sometimes it's a necessary evil. Kind of like chemo. Smoothies: Fresh vegetables sound downright repulsive in the days after treatment, as good as I know they are for me and as much as I know my body needs the vitamins and nutrients to heal. So I've jumped on the smoothie bandwagon and make a version many mornings of the week. Bonus: it's one of the only ways I've found to get Quinn to "eat" his greens. Win/win. Throw everything in a blender and blend until smooth, then adjust taste to your liking. Sometimes I add a scoop of vanilla protein powder or a handful of raw almonds. Blend until smooth. Top with grated nutmeg, if you like. I serve mine with a colorful straw because it makes me smile. Comfort Foods: This isn't the time to be concerned about your diet. Of course you want to be as healthy as possible, but sometimes homemade mac-and-cheese or stuffed shells are the only things that sound appetizing. I will say beware of tomatoes and tomato sauces, especially on broad-spectrum chemotherapies that can alter your taste buds and leave you with mouth sores. Acidity is not your friend on those drugs. But some soft pasta in a homemade salty chicken broth with sweet bites of chopped carrots? That could get me through some terrible queasiness. Medical Marijuana: (NB: I have not tried this because I am prone to anxiety, in the past marijuana has tended to bring out the paranoid in me, and I do not need more of that in my life.) I have heard though that medical marijuana can work wonders for spurring a person's appetite. I am in favor of whatever works so you can keep your strength through treatment. What are your go-to recipes when you're feeling hungover from treatment? Do you have any favorite cookbooks? What alternative solutions have you tried to ease your nausea (or other treatment-related side-effects)? I am always learning from you! Keep at it, friend! I love ginger beer and the Chimes ginger chews too. Such a lifesaver! I noticed it was your 37th birthday (Happy Birthday), I too was diagnosed with stage IV, four years ago. I just turned 37 last month. I love that you share so much. Such an inspiration, thank you!